Architectural Technology graduate from Nottingham Trent University and youngest member of the team. James previously worked with NBA over his summer break and quickly became a valuable member of the team. 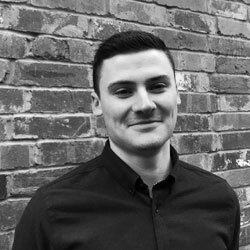 On completing his studies he was offered a full time role as a Technician and is now focusing on measured surveys, running small to medium sized schemes and assisting the design team with the larger bespoke design projects. James has a strong interest in cars and all kinds of technology.